Being a DVD movie lover and collector, you may be curious about how to play DVD movies on your computer. You see it’s very easy to get your DVD disc scratched after playing it again and again, so think it would be better if DVD movies can be played on your PC or portable devices like Samsung Pad. Anything we can do to make it work? Yes, and what we need only is a professional DVD ripper. WinX DVD Ripper Platinum will rip DVD to Samsung Galaxy Pad and other devices very easily. Developed by Digiarty Software, Inc., WinX DVD Ripper Platinum works to rip and backup DVD to computer hard drive, USB drive, and Apple, Android, Windows Phones/Pad. It is capable of convert DVD to AVI, FLV, MOV, MP4, MPEG and other popular video formats. This allows you to convert and rip DVD to Samsung Pad, iOS device, Huawei/Google/HTC mobiles, Surface Tab, Xbox, PS3/4 and other portable devices for much more convenient watching. It amazingly supports over 350 different DVD ripping profiles. You can surly find the proper profile for you to rip DVD. How to Rip DVD to Samsung Galaxy Pad with WinX DVD Ripper Platinum? Insert DVD disc into the DVD drive on your computer. Launch WinX DVD Ripper Platinum. Click 'DVD Disc' button and the software will automatically read the DVD. Choose a profile listed under 'to Samsung Pad Video' in the category of 'Android Pad', for example, the 'Samsung Galaxy Tab 7.7 (MPEG4)'. To rip DVD to Samsung Galaxy Pad, you have to choose the right profile for your Galaxy model. Select the DVD title, destination folder and click big 'Run' button to start DVD to Samsung Pad ripping. The whole ripping will finish within very few minutes. 3. Full title copy: back up full title including all audios, videos and subtitles. 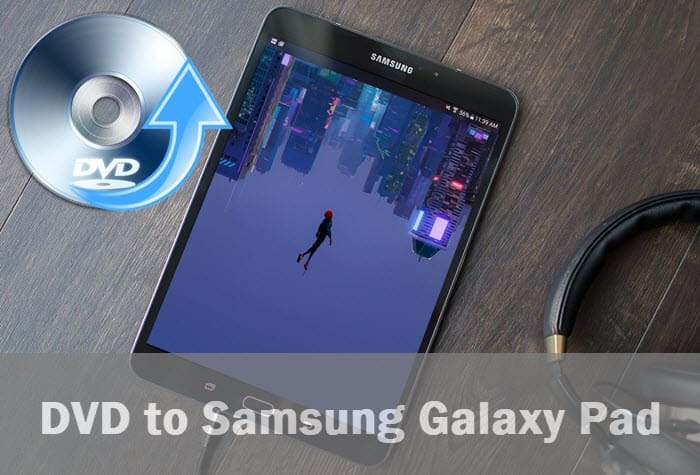 The introduction and guide of the best free DVD to Samsung ripper for Windows (10) PC, to free rip DVD to Samsung Galaxy Tab, Galaxy Note, Galaxy S and so on. We need to first rip DVD to Galaxy Note free on computer for later playback. WinX DVD ripper can help free rip DVD to Galaxy Note with ease. It is a how to tutorial to rip DVD to Samsung Z1 for playback DVD movies on this new released first Samsung Tizen Smartphone with no effort at all.